I think I named what DCnU titles I'll be grabbing a little prematurely. As time has gone on and more thoughts gone in it's mutated a bit here and there and wouldn't ya' know it - I think for the first time ever, I'm going to be pulling Supergirl. 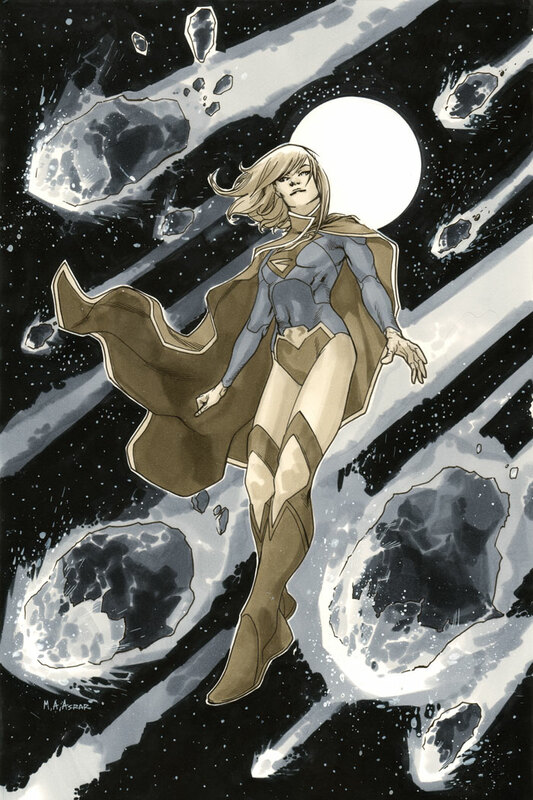 While a Supergirl who has no affection for the people of earth is a bit of a back track compared to recent moves for the character, the idea is eating at my curiosity as to where writers Michael Green and Mike Johnson are going to take it. 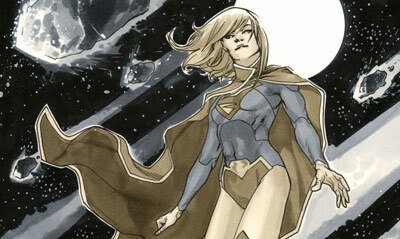 Then not to be outdone, rising-star artist Mahmud Asrar posted on his old blog this marker style image used as the base of the debut issue's cover, and announced the interior would be rendered in this style. Interesting plot + a unique visual style = Sold. Visit Mahmud's new blog right after the jump. that's gorgeous work. I wish I could do that with markers. I was I could too Craig - mind you I'm still trying to wash the initial attempts off the walls of my childhood bedroom at Mum's!